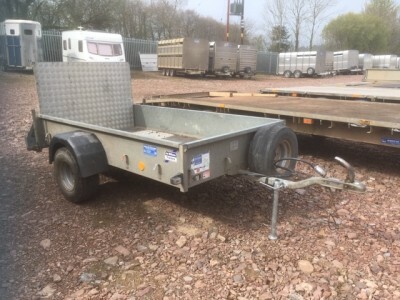 Larger, stronger and tougher than trailers typically sold at your local DIY or car parts superstore, the P6e, P7e & P8e are small trailers with big hearts. On the road they can be towed by a family car, off road they can even be towed by a quad bike. 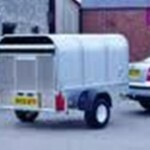 With ramp or tailboard versions, canopy and livestock options, gross weights of 500kg or 750kg and a range of optional accessories, the P6e, P7e & P8e cater for most domestic, light commercial and general farmyard duties. The axle, drawbar and body panels of the P6e, P7e & P8e are constructed from hot-dipped galvanized steel. The floor is 18mm thick high density plywood with a tough, water-proof resin coating on both sides. A factory fitted option of 2mm aluminium treadplate overlay is available. The loading ramp is panelled in 2mm thick slip resistant aluminium tread plate. The P6e has a floor area of 1.21m x 1.98m and a maximum gross weight of either 500 or 750kg. 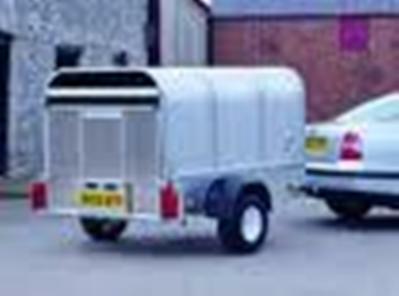 The P7e is slightly longer with a floor space of 1.21m x 2.21m. The largest in the range is the P8e offering 1.45m x 2.51m of floor space, making it suitable for carrying mowers, ATV’s and most standard sized construction boards. The strong, low maintenance rubber torsion suspension system is fitted with a choice of either 145/80B10 (P6e only, 500kg gross weight), 145/70R13 (500 & 750kg gross weight) or 20.5 x 8-10 (750kg gross weight) flotation tyres. Our P6e and P7e livestock range offers small unbraked trailers with outstanding flexibility both on and off road. Light enough to be towed by a quad bike, they can be used for moving sheep or calves around the farm on short offroad journeys. 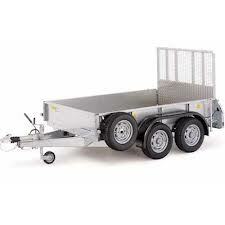 With the canopy removed, the trailers become general utility trailers for carrying feed, fertiliser and other goods.